The Steiner Navigator Pro 7×50 Marine Binoculars features plenty of plus points: a robust water pressure proof construction down to 2m and maximum versatility. Designed to deliver sharp vision and bright images with specially coated High-Contrast-Optics even in difficult light conditions. STEINER’s proprietary Sports-Auto-Focus ensures instant sharp viewing in any situation even at varying or rapidly changing distances – without the need to constantly refocus. 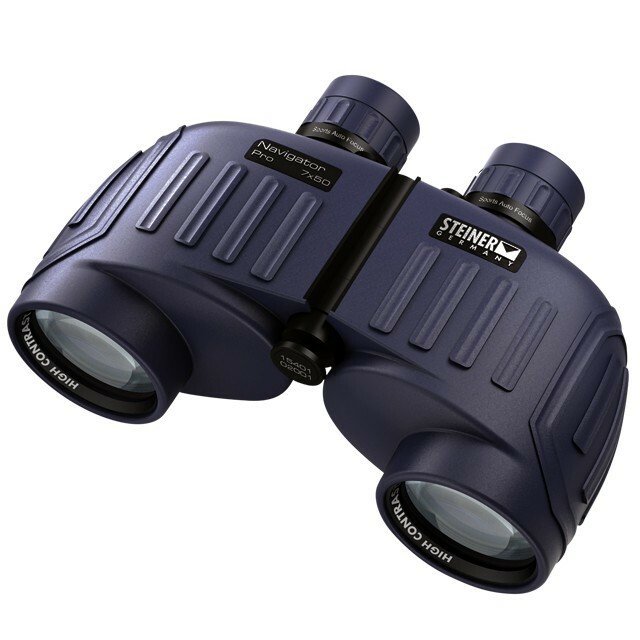 The Steiner Navigator Pro 7×50 Marine Binoculars offers plenty of advantages: sturdy water pressure proof construction down to 2m and maximum versatility. Designed to deliver clear vision and bright images with specially coated High-Contrast-Optics even in difficult light conditions. Steiner’s legendary Sports-Auto-Focus ensures instant sharp viewing in any situation even at varying or rapidly changing distances — without the need to constantly refocus. The super tough Makrolon® fibre reinforced polycarbonate body and an extremely compact construction make the Navigator 7×50 absolutely rugged and shock resistant. Added comfort with the slip-proof rubber armouring. A fog-free viewing and moisture protected performance guarantees the two-valve system of dry nitrogen pressure filling. 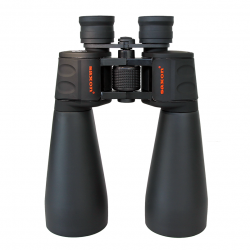 The weight is evenly balanced and the 7-times magnification effectively stabilizes the binocular, provides a firm hold thus delivers a stable image. This Navigator is fitted with a Sports-Auto-Focus mechanism. 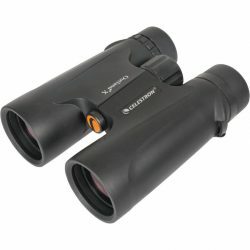 Once your Steiner Navigator Pro 7×50 Marine Binoculars is adjusted, the unique Sports-Auto-Focus always provides razor-sharp images from 20m to infinity. You don’t have to keep refocusing, especially when tracking moving subjects. Temperature Resistant – even variation between -40C to 80C will not affect performance NBR Longlife Rubber Armour – resist the effects of oil, acid or weathering. Easy to hold and slip proof Steiner Sports Auto Focus – provide sharp image from 20m to infinity without refocus. Extreme Ruggedness – with Makrolon® material on the housing and “floating” mountings on prisms inside. Ergonomic Design – ribbed design for better grip High Quality Accessories – Comes with carrying strap, rain protection cap and high quality case. The German owned Steiner brand, for more than 60 years has been a trusted and dedicated manufacturer of high quality optical equipment. From Riflescopes to Binoculars, the company has been committed to precision, research and high quality manufacturing for hunting, marine, outdoor and birding markets. 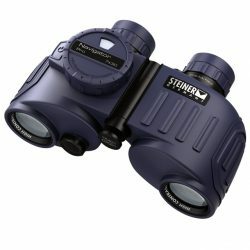 Steiner binoculars stand for latest technology, viewing performance and a manufacturing on world class level. Handle a Steiner, and you’ll feel the difference! 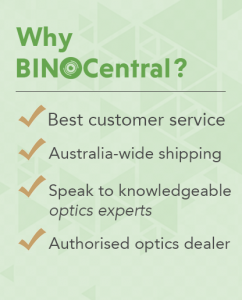 Optics Central is an Official Steiner Centre – approach us for the best advice and best prices. Steiner offers a 10-Year Warranty on on all Steiner Binoculars worldwide. This excludes wear parts such as rubber armouring, carry straps, eye cups or lens caps.